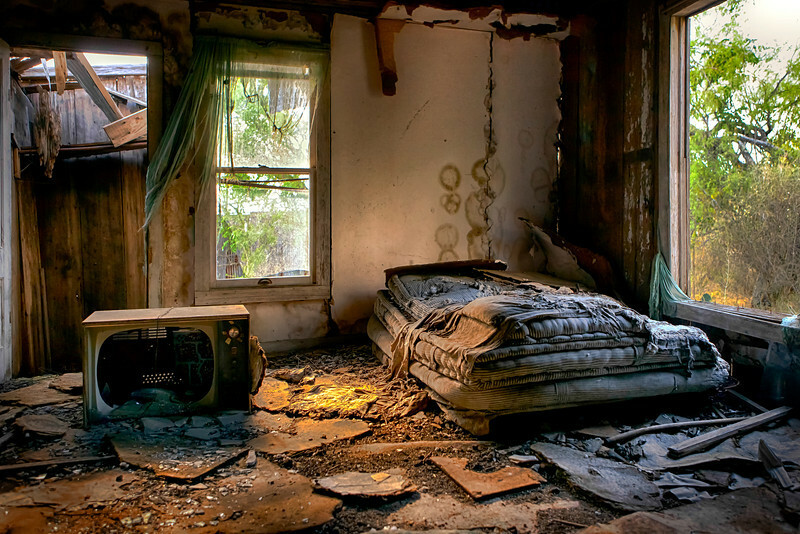 In this abandoned home the bedroom still had the mattress which seems to be completely falling apart and has been made into a nest. The tube in the TV has been kicked out. It seems that all this place needs is a little TLC and a little cleaning.